London has more world-class universities than any other city in the world. London's universities are regularly at the top of a number of world university rankings. There are many different rankings and league tables and a number of London universities consistently perform well. League tables are a good starting point for your research, although remember that many excellent specialist institutions often do not feature as they are smaller. A university can also be very well-known for a particular subject area which might not be reflected in overall rankings. The following universities are considered as world leading and students as well as academics all around the world thrive to be part of the universities' community. Imperial is consistently rated among the world’s best universities and has a reputation for teaching and research in science, engineering, medicine and management. In the THE World University Rankings 2016-17 and the 2016-17 QS World University Rankings, Imperial College London was ranked 8th and 9th best university in the world, respectively, and the university was also ranked 15th in the THE World Reputation Rankings 2016, all confirming Imperial as one of the world's best universities. The college is a global university attracting students from 123 different countries. Around 46% of students and 32% of staff come from outside the UK. 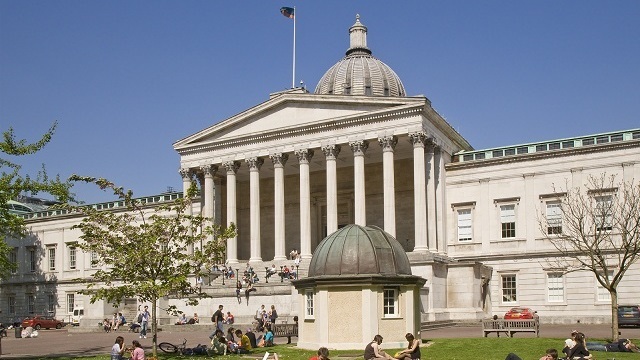 Described by the Sunday Times as "an intellectual powerhouse with a world-class reputation", UCL is consistently ranked as one of the top universities in the UK and worldwide. In the 2016-17 QS World University Rankings, UCL was ranked as the 7th best university in the world. The university was also ranked 15th in the THE World University Rankings 2016-17 and 20th in the THE World Reputation Rankings 2016. Known as 'London's Global University', UCL provides a very cosmopolitan and international environment with around 40% of students coming from outside the UK. King’s is one of the world’s leading research and teaching universities based in the heart of London. The university has played a major role in many of the advances that have shaped modern life, such as the discovery of the structure of DNA and research that led to the development of radio, television, mobile phones and radar. King's ranked 21st in the 2016-17 QS World University Rankings, 36th in the THE World University Rankings 2016-17 and 43rd in the THE World Reputation Rankings 2016, making it one of the most popular study destinations for international students. King's 28,000 students study across 5 London campuses, 4 of which are along the River Thames. LSE is a specialist university with a global reach. Its research and teaching span the full breadth of the social sciences, from economics, politics and law to sociology, anthropology, accounting and finance. LSE frequently appears in the top reaches of international and national league tables. In the 2016-17 QS World University Rankings, LSE was ranked 37th best university in the world. The university was also ranked 25th in the THE World University Rankings 2016-17 and 24th in the THE World Reputation Rankings 2016. There are over 150 countries represented on campus, making LSE a uniquely international and cosmopolitan university in central London. London Business School is ranked among the top business schools in the world for its MBA, Finance and Management programmes. The school offers a mix of masters and non-masters programmes to suit students and executives at every stage of their careers. As a specialist institution, London Business School does not usually appear at the top of more general league tables, although it ranked in the top 100 in the THE World Reputation Rankings 2016. London Business School ranked 6th in the Financial Times Global MBA Ranking 2017 and 6th in the Financial Times Masters in Management Ranking 2016, confirming its status as one of the world's leading business schools. The London School of Hygiene & Tropical Medicine (LSHTM) is a leading postgraduate medical institution that specialises in teaching and research in public health and tropical medicine. The School’s multidisciplinary expertise includes clinicians, epidemiologists, statisticians, social scientists, molecular biologists and immunologists. As a specialist institution, LSHTM does not usually appear at the top of more general league tables, although it ranked in the top 100 in the THE World Reputation Rankings 2014. The School's research funding has grown to over £79 million per year from national and international funding sources including the UK government, the European Commission, the Wellcome Trust and the Bill & Melinda Gates Foundation. Queen Mary University of London is one of the UK's leading research-focused higher education institutions. With around 17,840 students, the university is one of the biggest colleges of the University of London. The university is multi-disciplinary, offering a wide range of subjects in the humanities, social sciences, law, medicine and dentistry, and science and engineering. Queen Mary graduates are consistently in the top 10 in the UK for graduate starting salaries, and the university was ranked 113th in the THE World University Rankings 2016-17. London also hosts a number of specialist institutions which offer courses in the fields of health sciences, arts, design, music, social sciences and much more. London has also been ranked as the best English language speaking city in the world in which to be a student.